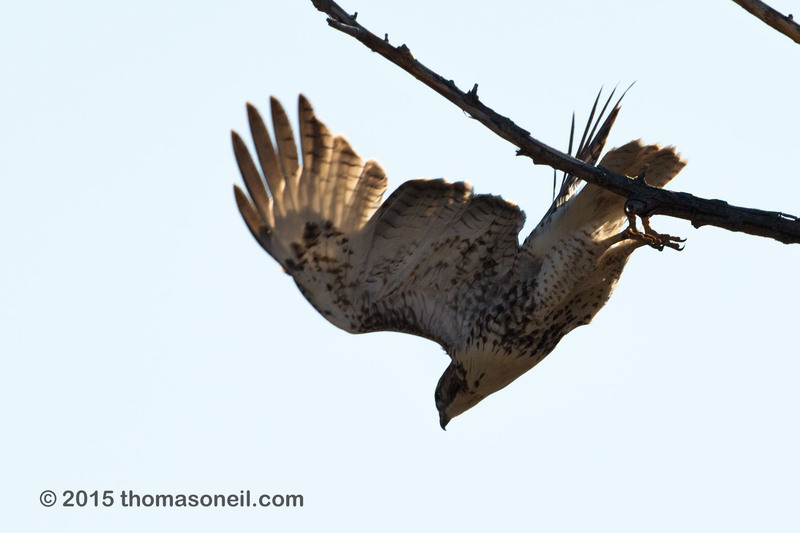 thomasoneil.com Squaw Creek NWR: Hawk, Squaw Creek NWR, Missouri, December 2015. In looking through my Sibley bird book, I think this is a juvenile red-tailed hawk that has not yet developed the red tail. [#8282-4023] Click on image for next photo.